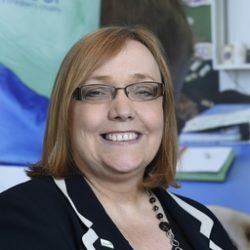 SallyAnn was appointed CEO of Aberlour in June 2014 and has more than 20 years of experience working in children’s services, having qualified as a social worker in 1990. She was promoted to her first management post in 1996 and has worked in several Scottish local authorities in middle and senior management positions. She was a member of the Scottish Government Early Years Taskforce and was involved in supporting the implementation of the Early Years Collaborative through her role as the National Champion for 1-3-year olds. She was also a member of the Doran Review, involved in reviewing education provision for children with Additional Support Needs. SallyAnn is a member of the Scottish Government’s GIRFEC Practice Development Panel which is responsible for overseeing the development of a Code of Practice and statutory guidance to accompany the Information Sharing (Scotland) Bill. She also sits on the Scottish Government’s National Child Protection Leadership Group.